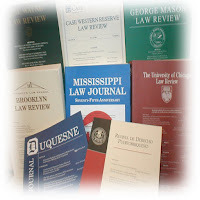 Two more Atkins MR/ID death penalty related law review articles (2009) of potential interest to IDCP readers, both from the previously mentioned Tennessee Law Review. Symposium: An Empirical Look at Atkins v. Virginia and its Application in Capital Cases (click here for complete text). NOTE - since making this original post I've received a much more polished and readable copy of this paper, published by the Cornell Law School. Click here to view. ... Although the Court did endorse the prevailing clinical definitions of mental retardation, some advocates of a categorical mental retardation ban expressed concern that the language the Court used-communicating that states must "generally conform" to these definitions -was ambiguous enough to permit death eligibility to vary depending upon the jurisdiction in which the defendant was charged. ... More than "general conform would be needed to assure uniformity," because accurately assessing mental retardation requires adherence to the definition's operational principles, such as considering the standard error of measurement when assessing intelligence test scores, or community supports when determining adaptive functioning deficits. ... Our data set clearly does not include every Atkins claim raised to date: Undoubtedly, there are mental retardation claims that have not yet been adjudicated, claims that have been adjudicated but not reported (and not revealed by our queries), and some new challenges-even to older cases-that have yet to be filed. ... Second, the success rates for Atkins claims vary dramatically between states. ... Moreover, Alabama, unlike North Carolina, defines mental retardation more restrictively than do either of the professional organizations cited by the Supreme Court; it applies a strict IQ cutoff and assesses adaptive functioning deficits by focusing on what the claimant can do rather than focusing, as those clinical definitions require, on the individual's limitations. ... For example, in Florida, 50 percent of the losing Atkins claims lost on the first prong alone, and in half of those cases, the state's cut-off score determined the outcome. ... Part II discusses the three elements of the most commonly used definitions of mental retardation- intellectual functioning, adaptive behavior, and age of onset-and explains how the varied use and interpretation of these definitions has resulted in inconsistent state decisions. ... Although the Supreme Court deferred the matter of defining mental retardation and the procedures used to determine its existence to the states, its categorical ban on the execution of the mentally retarded nevertheless requires states to adhere to the basic principles of Atkins in both respects. ... Some argue that cultural test bias depresses IQ scores for minorities, resulting in an over inclusion of non-native English speakers in the class of protected individuals, while others contend that the differences are insignificant. ... Nonetheless, mental health professionals often use assessment instruments to evaluate whether an individual suffers from limitations in adaptive behavior. ... Similarly, the AAMR has noted that "mental retardation is not susceptible to evaluation by non-experts, and the disability only can be assessed through scientific tests administered by experienced professionals in the field using their training, experience, and clinical judgment." ... As one expert has suggested, "if there were a capital prosecution of an individual who met the definition of mental retardation except for the age on onset, principles of equality likely would require comparable exemption from capital punishment."